Hilton’s ever-expanding portfolio grew with the recent opening of Hilton Garden Inn Dubai Al Jadaf Culture Village. 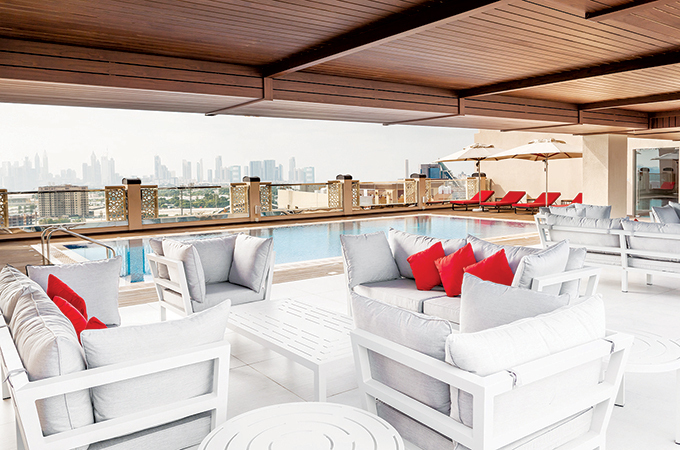 The new hotel, which is part of Hilton’s award-winning midscale Hilton Garden Inn brand, joins three other Hilton Garden Inn properties already open in Dubai. Al Jadaf is one of the most historically significant neighbourhoods in Dubai as it was the first hub for traditional dhow vessel building and repairing – putting it at the heart of the city’s vital trade routes. It remains the last location where dhows are crafted and with significant investment is shaping up to be a truly unique tourist destination in the region. The 326 guest-room hotel, owned by Khamas Group of Investments Co’s, enjoys an ideal location between Dubai International Airport and Downtown Dubai and is just 100 meters from Al Jadaf Metro station. It offers easy access to the Dubai Mall, Dubai World Trade Centre, Dubai International Financial Centre (DIFC) and other key destinations in the city, all while being just seven kilometres from the airport.